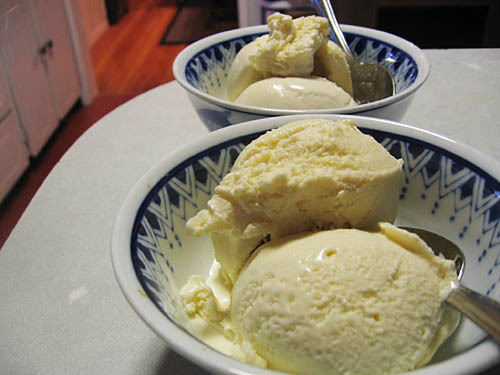 I tend to neglect my ice cream maker with a fair amount of frequency. It’s stored out in the garage freezer, so it’s not like I see it all the time to help remind me. 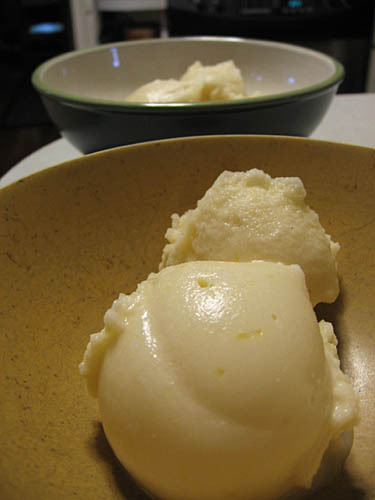 Plus, it seems like some of my previous ice cream/sorbet experiments have not blown me away. 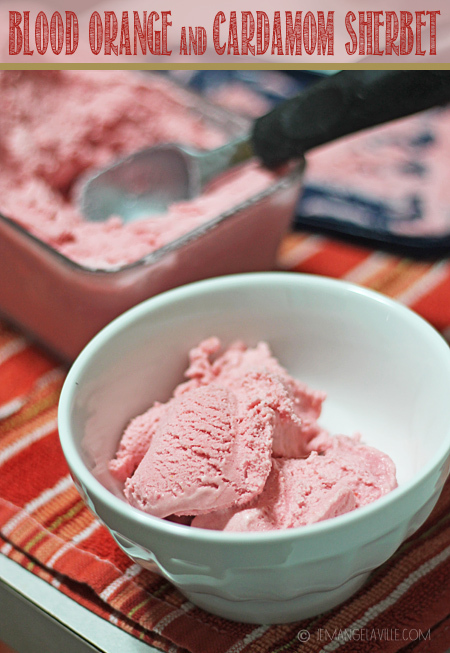 Enter this Blood Orange and Cardamom Sherbet…Blown away! 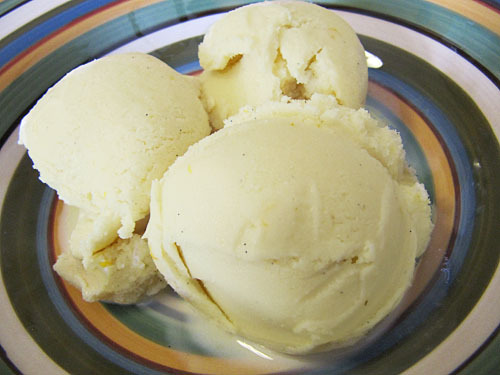 I was really excited for this French Fridays with Dorie as I’m always on the lookout for recipes to make with my fancy-olive oil and also because I’ve had olive oil ice cream before and it’s really good! This recipe was no disappointment, either. Both jwa and I really loved it. The olive oil you use probably makes all the difference, of course. 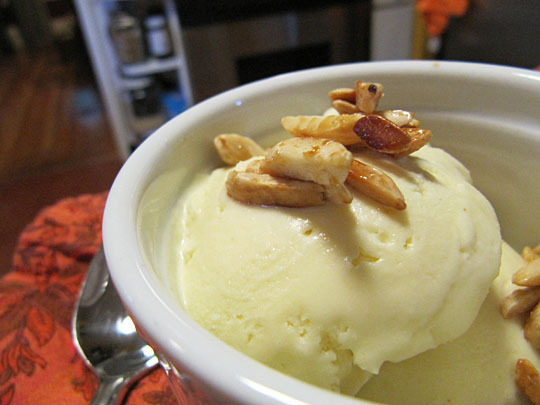 This was a revelation in my ice cream making adventures. You see, I already had the cream but I also had only fat-free milk at home. And I was too lazy to go to the store and get some whole milk. Well, I thought, it might be weird anyway because of the sesame oil, so I should just make it with fat-free milk and see what happens. It’ll be an adventure!